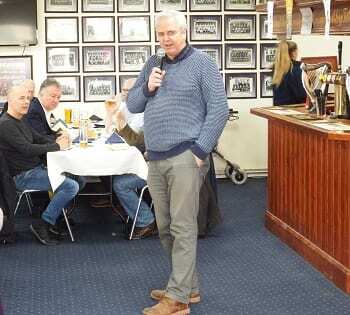 The 4th annual Paul Keohane Sports Fund day was held at Thanet Wanderers on 6th April. The day began with a match between teams from Charles Dickens and Royal Harbour Schools. Both schools have received coaching from Thanet Wanderers youth development coaches Cary Wright and Tom Carlier and their school coaches Dan Shepperson and Mickey Capeling, both former first team stalwarts at Wanderers. 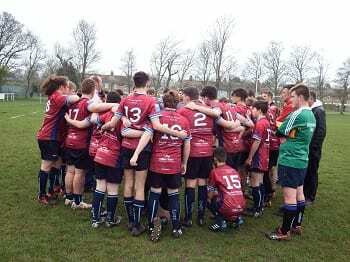 The coaching and the provision of £6000 equipment and kit is only possible as a result of financial help from the PKS Fund, England and Kent RFUs and sponsors Miles and Barr and London Array. Special shirts in the schools’ colours were presented to the two teams by Simon Thompson of Miles and Barr and John Keohane of the PKS fund. 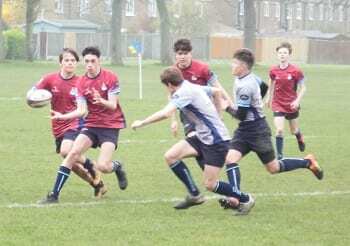 The game was won by the Dickens School and was notable for the quality of play considering many of the players were only introduced to rugby a few months ago. Thanks to Patrick Liddle for refereeing. Prior to lunch John Keohane reminded a packed clubhouse of the origin of the fund that bears the name of his brother Paul whose untimely death motivated him and fellow founders, Gary Frame, Jimmy Green and Chris Marson to set it up in Paul’s memory. Today had seen a big step forward in its main aim of getting local young people more involved in physical activity and rugby in particular. 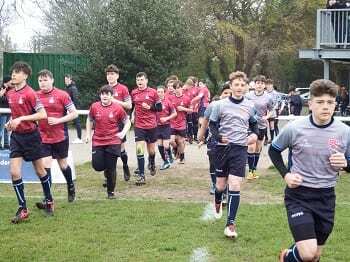 Cary Wright spoke of his delight in the early success of the schools initiative which aimed to deliver funded curriculum rugby to years 7/8 and 9/10 in six non Grammar schools whilst also supporting the Grammar and Independent schools wherever possible. 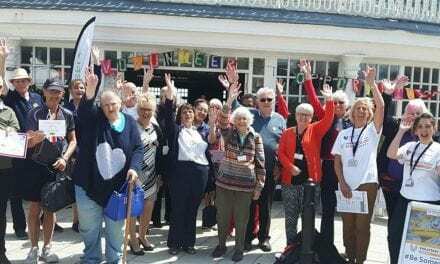 The success of the programme, after only six months of the planned three years, had far exceeded projections with inter school matches and a very successful schools festival hosted at Thanet Wanderers. 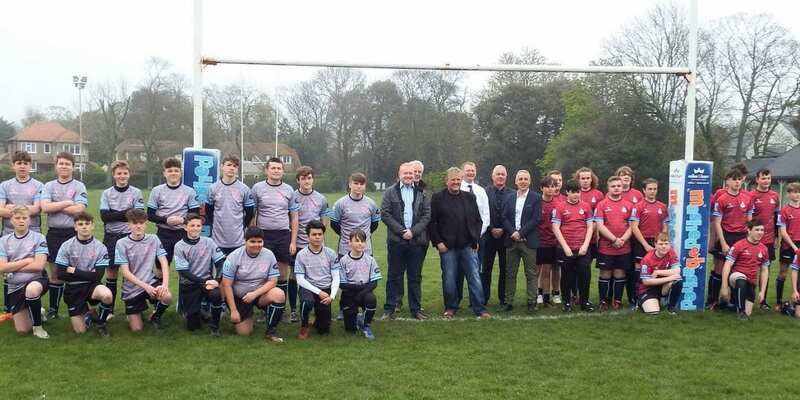 Paul Luxmore, Executive Head of Coastal Academies, thanked Cary Wright and Tom Carlier for their efforts and also the club’s sponsors for enabling the schools and community programme. 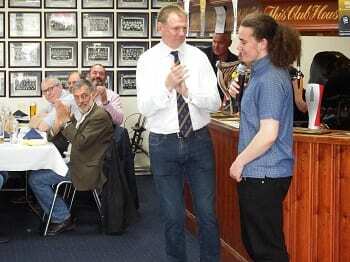 Dylan Hennesey who had played in the schools match for Royal Harbour, then spoke about how being introduced to rugby and then playing the game as a result of the schools programme had had a positive impact on his life. 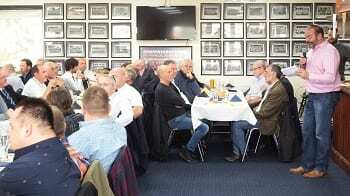 Paddy Mcevely with the assistance of Ross Bell served an excellent lunch and Kelly Smith and Gerry Doyle with their ever smiling help ensured glasses weren’t empty for long. 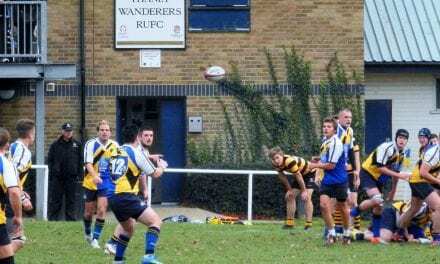 On the field Thanet Wanderers secured a notable win against Old Colfeians to end their season on a high. 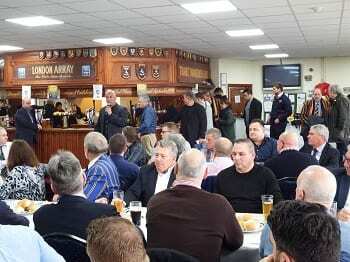 Back in the clubhouse ex Wanderer Prav Mathema who is now National Medical Manager with the Wales RFU and Mattie Stewart who played 34 times for Scotland and 169 times for Northampton Saints and who is a good friend of Cary Wright took part in a question and answer session. Thanks to them for the interesting session. Chris Marson ably conducted an auction and raised prodigious sums for some superb donated rugby memorabilia and auction lots. Thanks to those who donated and bought these wonderful items. John Keohane has announced that around an amazing eleven thousand pounds was raised during the afternoon.